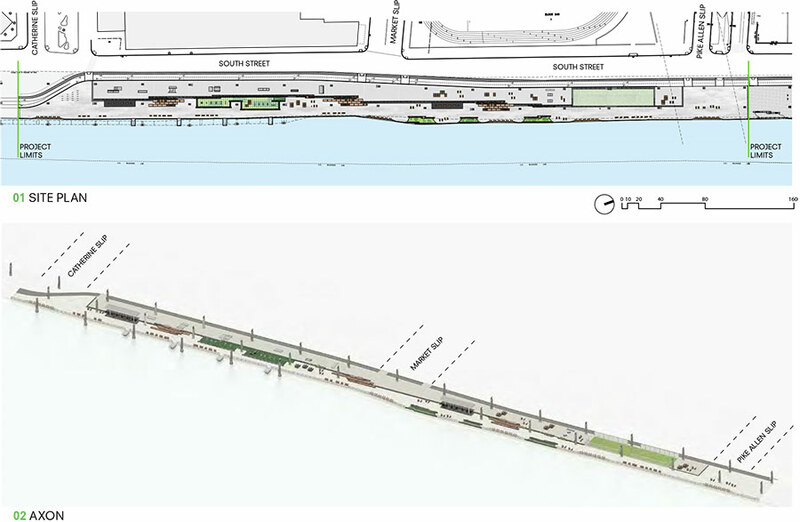 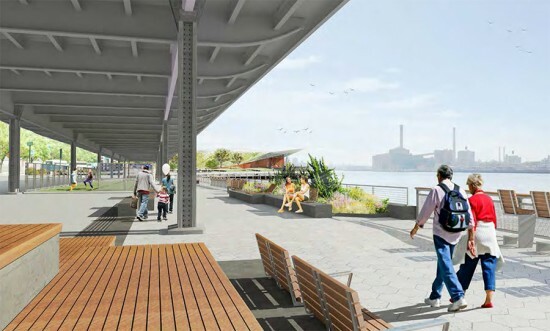 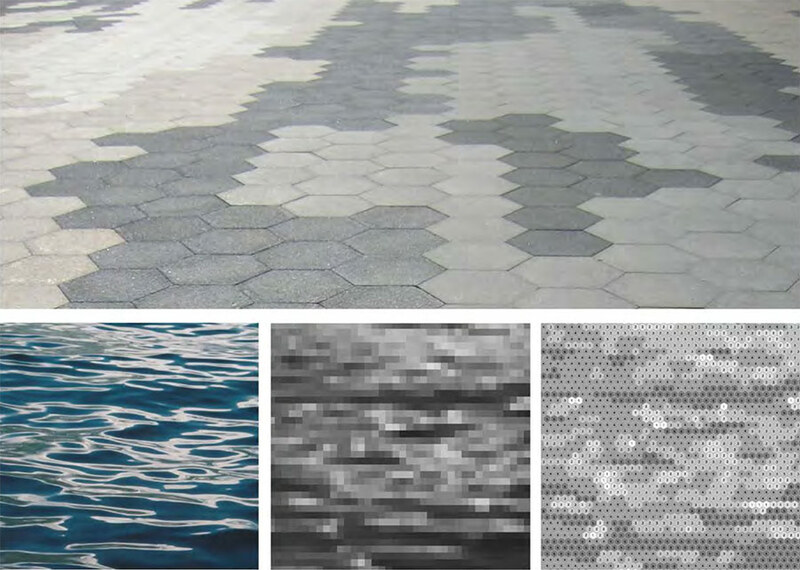 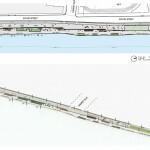 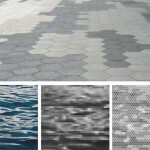 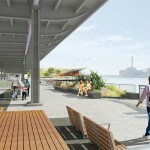 Connecting two existing waterfronts—Battery Park and East River Park—the rehabilitation of the East River Esplanade has been a catalyst of renewal along Manhattan’s East River. 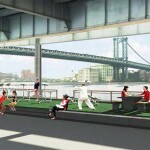 The latest phase of the plan—by SHoP Architects and Ken Smith Workshop—extends the current three-block-long Esplanade north, adding recreational amenities and addresses the challenges of building a new landscape beneath an elevated highway between Catherine Slip and Pike Slip in Lower Manhattan.. 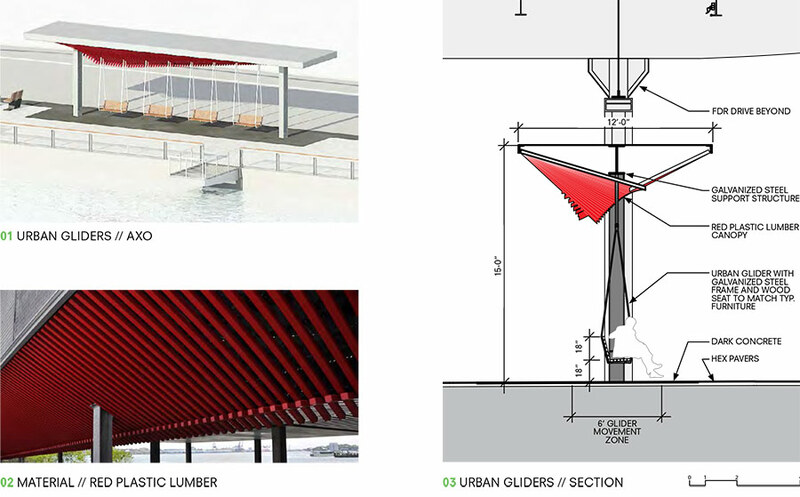 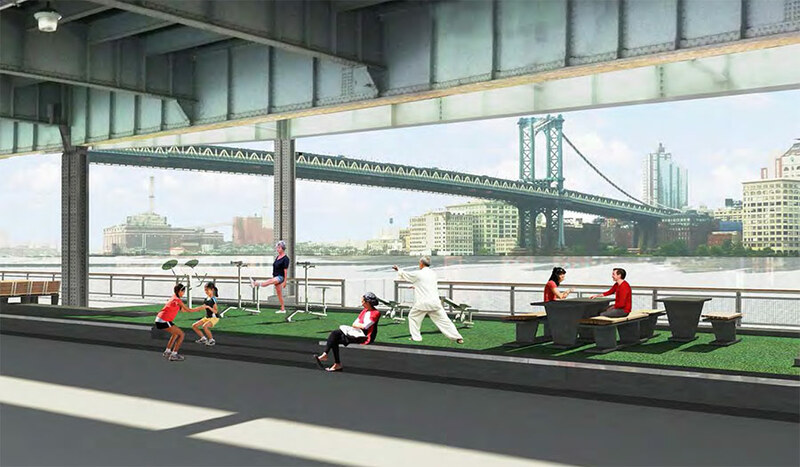 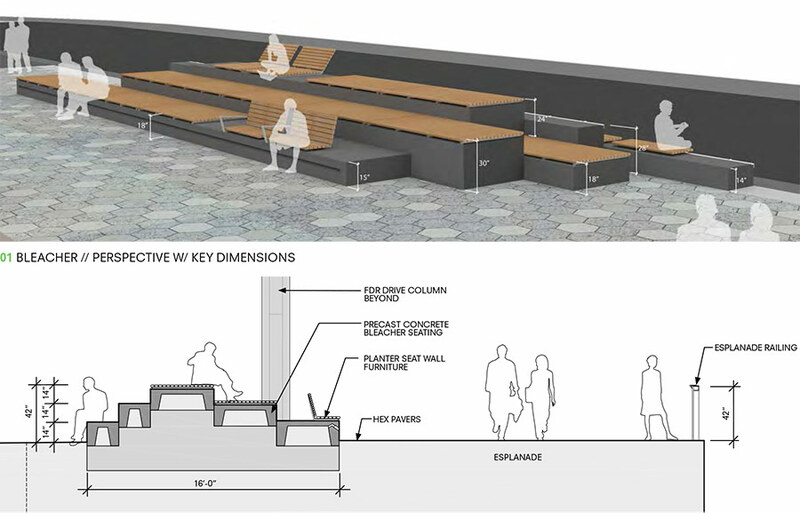 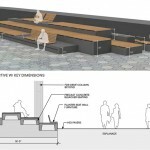 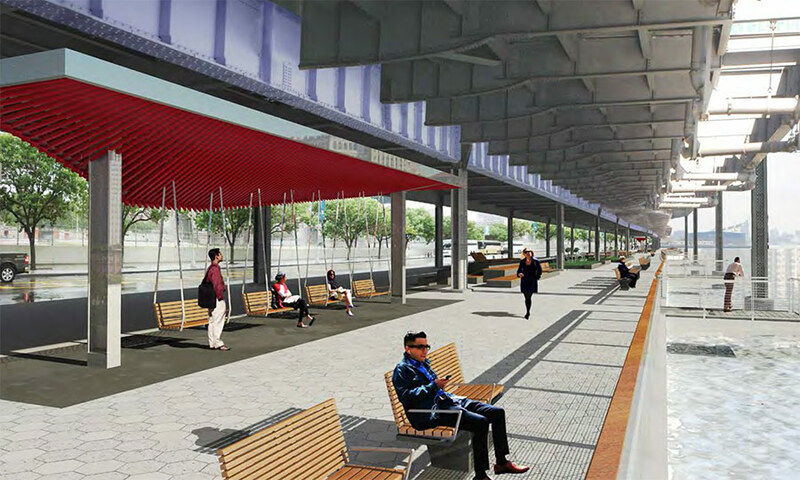 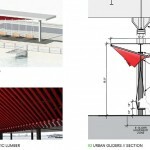 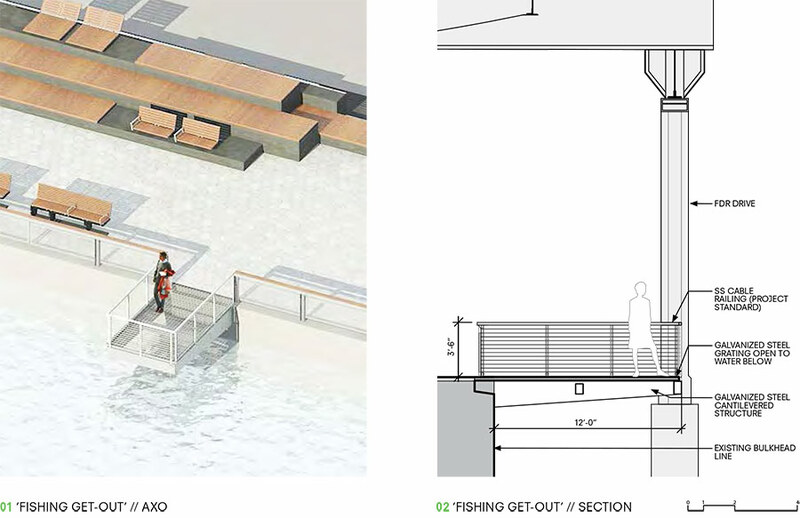 The so-called “Package 4” aims to create a “front porch” for the Lower East Side by introducing new street furniture such as conversation benches, bar stools, lounge chairs, picnic tables, and swing sets hanging from the FDR highway overpass. 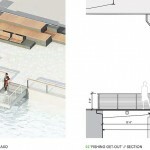 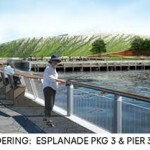 The new plan also includes the prospective installation of amenities such as elevated exercise platforms, a skate park, games tables, a synthetic turf field, waterfront fishing docks, and multiple bike paths. 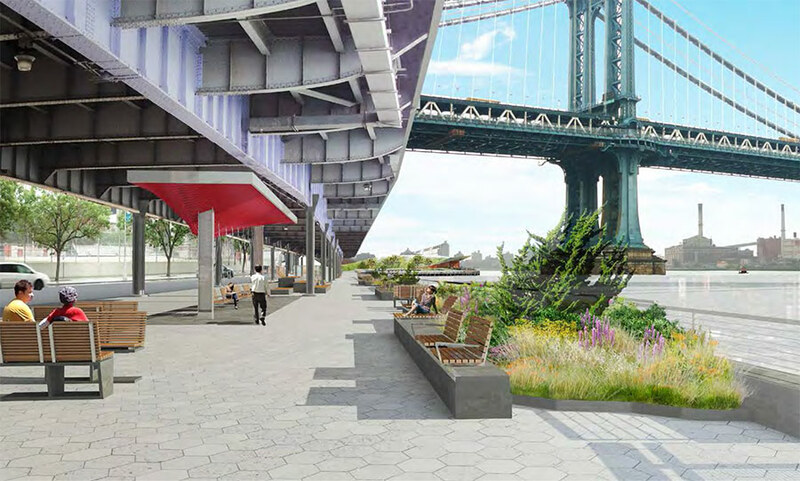 The project’s designers wish to integrate a significant amount of perspective and dimension on the site by conserving already-existing open lawns, installing light fixtures under the FDR highway overpass, building multi-leveled seating and benches, and planting a diversity of foliage. Pending approval from the New York City Council and City Planning, the project should be complete by Spring 2015.